Dust off your bike, synch up your harness, and blow up your inner tube, because warmer weather is on its way, and it's time to get out and do stuff. 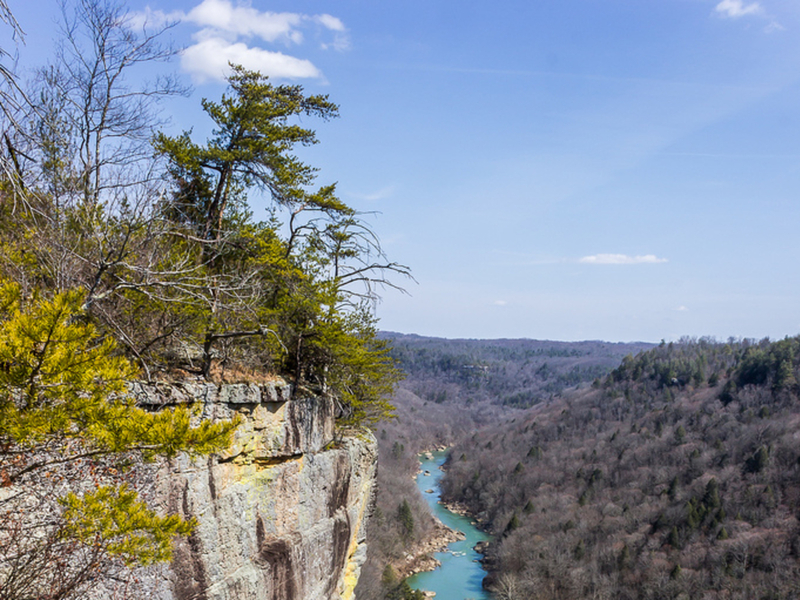 You can get started with this list of 20 must-do adventures to take near Knoxville this year. 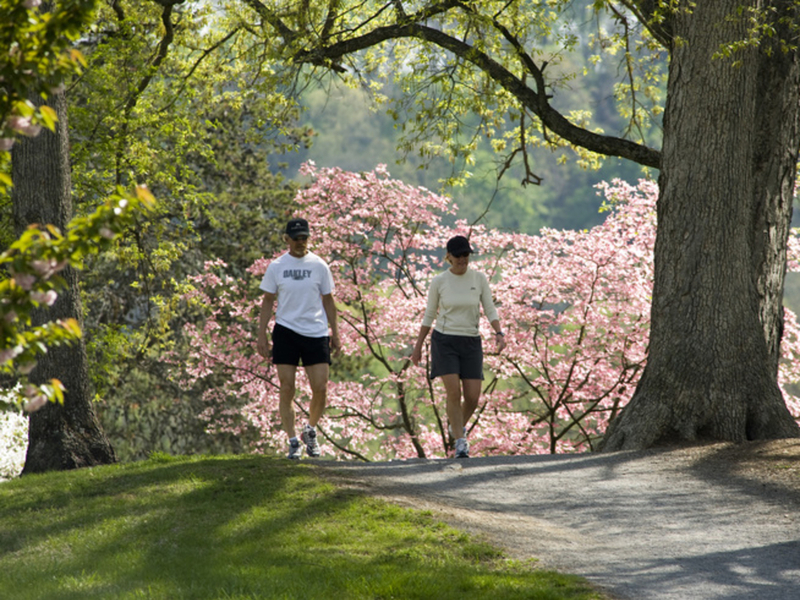 The Urban Wilderness Corridor is Knoxville's pride and joy for outdoor recreation. Within its vast 1,000 acres of green space are miles upon miles of singletrack and double-track trails, connecting some of the city's favorite parks with one another. For trail runners, it’s a dream come true, offering a quick, nearby run that feels a million miles away. Enjoy a leisurely ride with a grand (beverage-filled) finale. Start at the Outdoor Knoxville Center and bike along the downtown waterfront , through the UT Gardens, along the edge of Tyson Park , and on along Third Creek, finally reaching the Bearden Beer Market for a refreshing brew in their open air garden. We're moving from a run and a ride to a crawl—an art crawl that is. 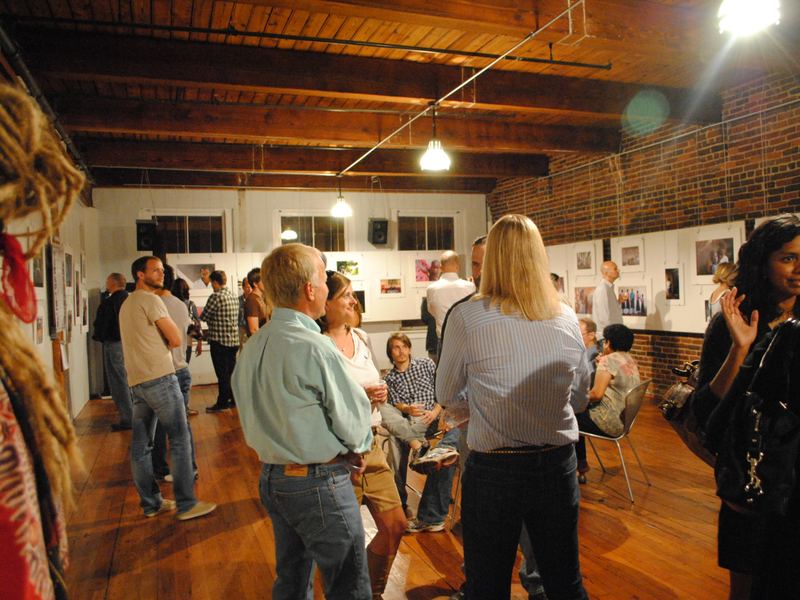 On the first Friday of every month, Downtown Knoxville teems with local artists, craftsman, and performers showing their wears along sidewalks, in boutiques, on coffee shop walls, and in various dedicated arts spaces like the Emporium Center . There's typically a smattering of free beer, wine, and snacks along the crawl, making for a perfect cheap (but sophisticated) date night. 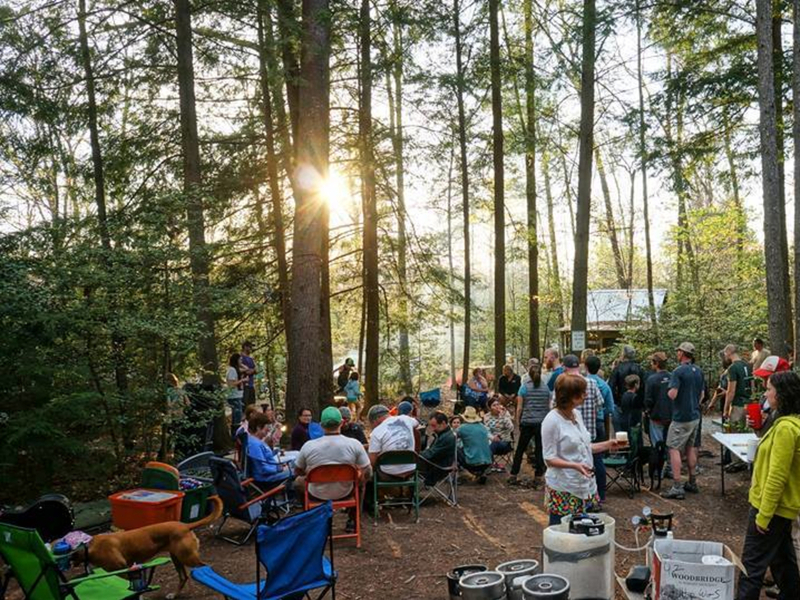 Beer, music, and a friendly atmosphere make this monthly gathering a chill way to get to know other outdoor enthusiasts in the area. 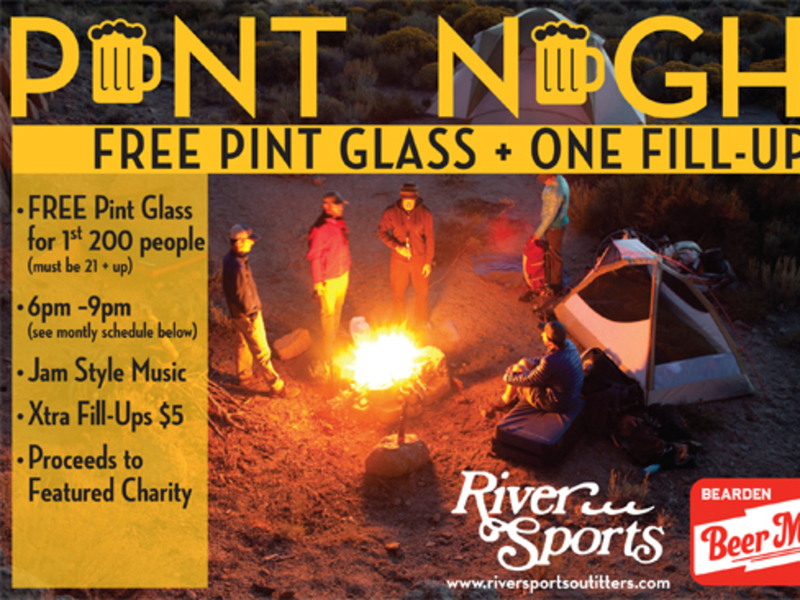 Enjoy locally brewed beer and support local non-profits with this great series running from April to October. The 2.5 miles of crushed stone in Sequoyah Hills, dubbed “The Boulevard,” ambles past beautiful riverside homes in the median of Cherokee Boulevard and through one of the most impressive neighborhoods in Knoxville. Runners can do a simple out-and-back or mix it up with a return run closer to the water in Sequoyah Park or cross Kingston Pike and connect to the Third Creek Greenway for a longer workout. One of the best ways to experience a UT home game isn't actually by seeing it from the stands. Instead, join all of the orange-clad boaters who are floating around and tailgating, and paddle your board or kayak between them. (We won't make any guarantees, but if you don't get invited onboard at least one motorized vessel, we'd be mightily surprised.) And when the home team scores a TD, it's a pretty neat experience to hear the roar from the stadium reverberate over the water. With outstanding vistas overlooking the powerful waters of the Cumberland River, it’s well worth the early wake-up call. Feel the forest stirring from its slumber all around you as you hike up in the thin dawn light. 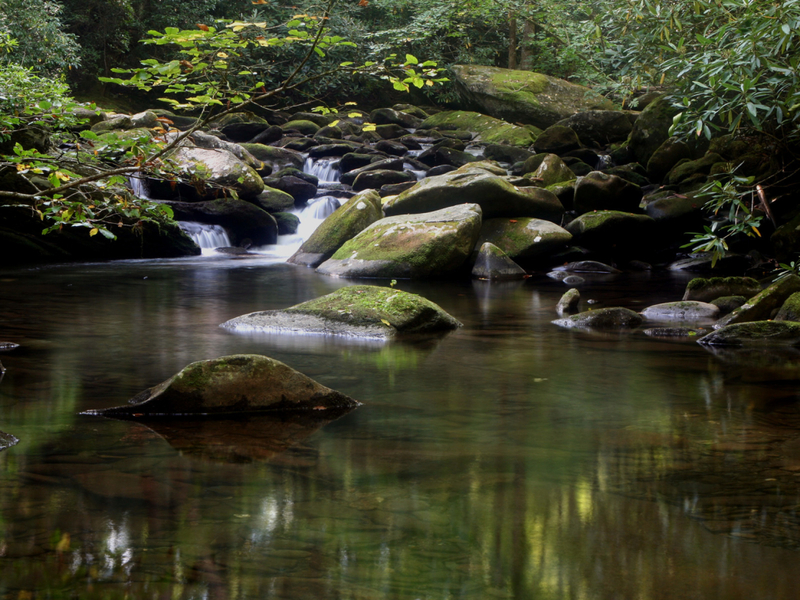 Rise above streams and sandstone and take in a brilliant sunrise in one of East Tennessee's most pristine wilderness areas. One of the best places to climb in the Southeast meets the friendliest campground in the world . Send by day and party by night at this sweet little spot. It's nearly that time of year: Buds around the city are ready to burst, and one of their most beautiful displays in in the sunflower fields at Forks of the River Wildlife Management Area . 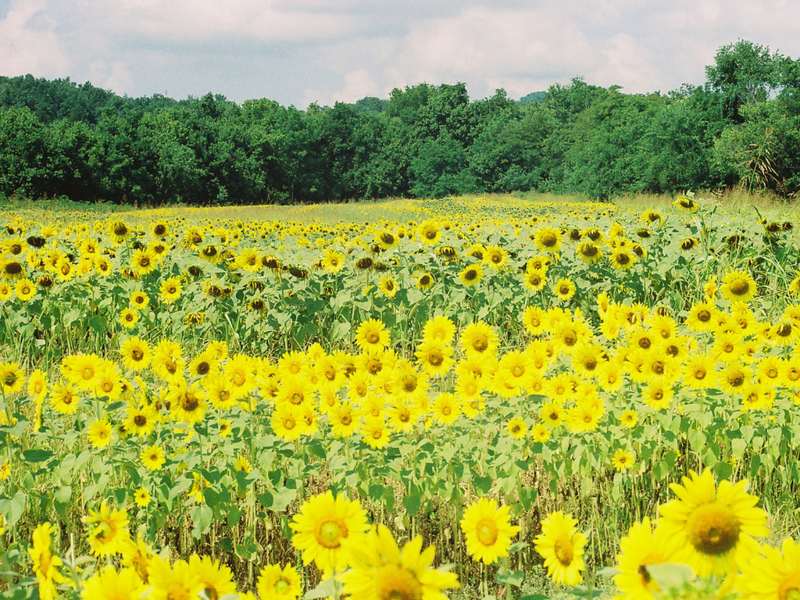 Take in the vibrant yellows and bask in the sun alongside the flowers in one of Knoxville's most treasured outdoor spaces. Most of the best bands, concerts, and theatrical productions that come through Knoxville land in the Tennessee Theatre. Shows from years past include Brian Regan, Lewis Black, The Doobie Brothers, Sheryl Crown, Ira Glass, St. Vincent, Weird Al, and Young the Giant. But really, any excuse you can find to take in this beautiful, historic theatre should be nabbed! The Tennessee is the crown jewel of Knoxville entertainment. The heart of Knoxville's urban nightlife is clustered in two spots: Market Square and the Old City. Start at the sleek bar at the Tomato Head . It's a great place for pizza and is home to the amazing Oh Boy! sandwich. 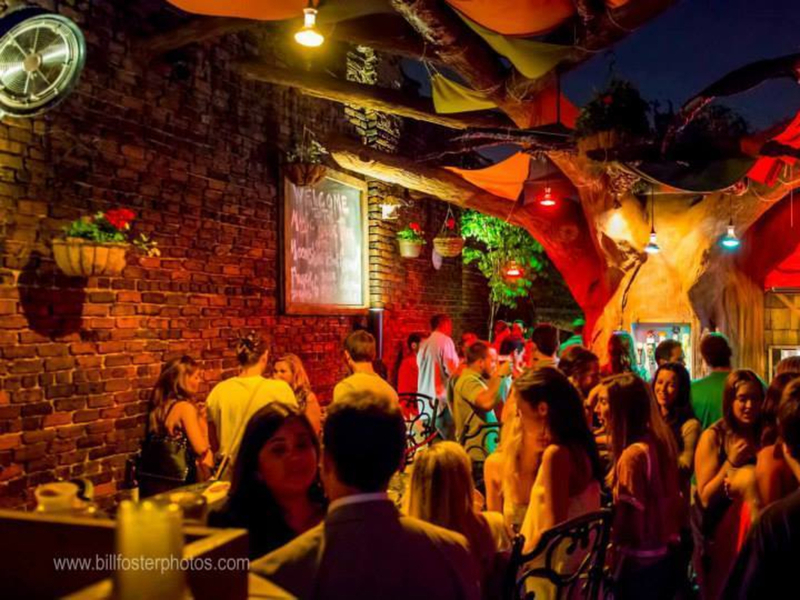 Next you can head over to Scruffy City Hall for live music or venture to the Moonshine Roof Garden at Preservation Pub . There's also a hidden speakeasy called “ The Library ,” accessible by a door in the alley behind the Oliver Hotel, marked by a single red light above. Once you've hit everything at Market Square, stop in at Downtown Grill and Brewery for a beer on your way to the Old City. The main bars in the Old City are best known for their live music. If you're in for a Celtic feel with bluegrass-y, Scotch-Irish music, Jig and Reel is where you want to be. Patrons looking for a little dive-bar experience complete with PBR chugging and alternative music should head to the Pilot Light while pizza-eating patrons looking for crowd-pleasing bands and a huge selection of beer should make their way to Barley's Taproom and Pizzeria. If, by the end of the night, you just want some fresh air and pleasant conversation, cross the tracks to the Public House, which boasts a spacious outdoor patio and pub food you’ll actually want to eat. Sharp’s Ridge Memorial Park is one of the best places to see the city from above. Halfway down the ridge drive is a small overlook with a referential map of the city and the mountain peaks accenting the background. Sharp's Ridge has also become a popular mountain biking destination recently, thanks to three new miles of trail installed by the Appalachian Mountain Bike Club . One of the area’s truly best kept secrets is this little coffee shop just north of downtown Knoxville. Small, unassuming, and relatively new on the scene, K Brew boasts a coffee acumen more common in larger cities. 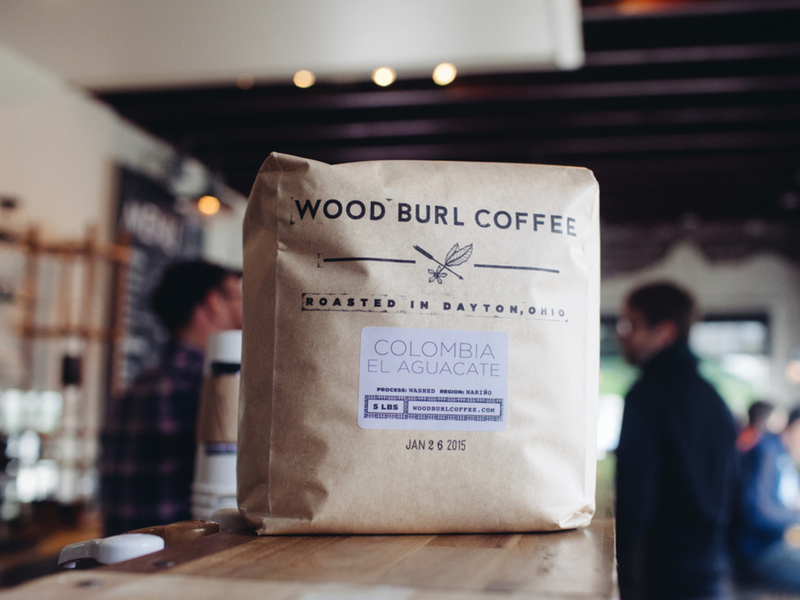 It also won a prestigious spot in Alton Brown’s list of the country’s best coffee shops for 2014. 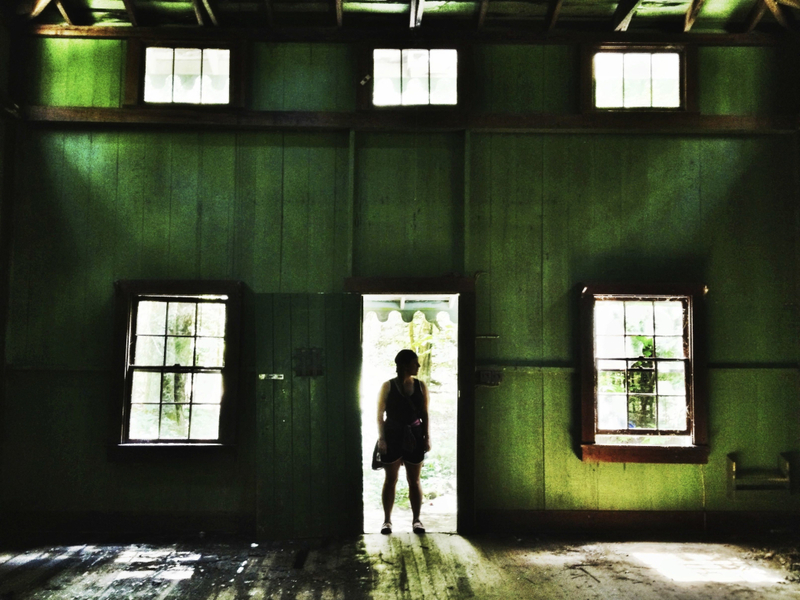 Due to a viral video , the historic Elkmont community was newly "discovered" by millions on the internet, and though this part of Great Smoky Mountains Park is in no way hidden, it’s still a great find for anyone curious about the history of the park and its inhabitants. 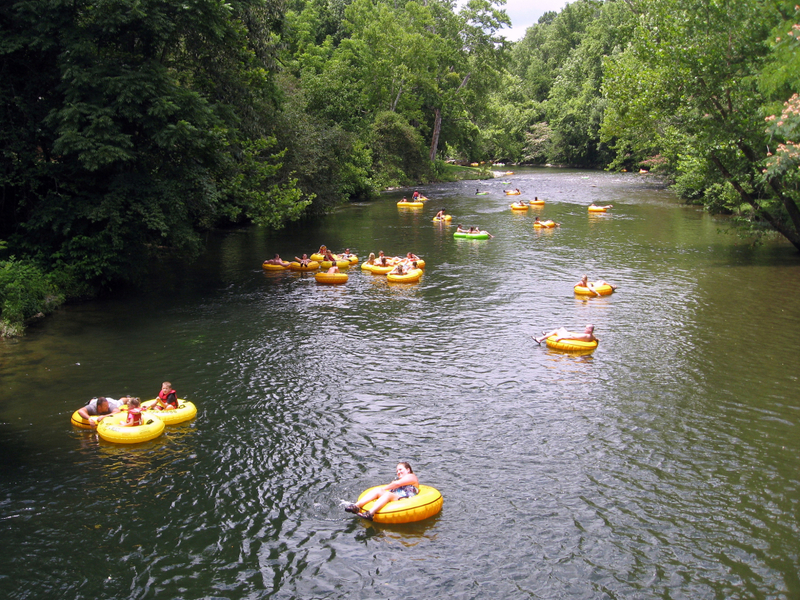 The Pigeon River has a variety of options for getting on the water, no matter your skill level. The Upper river is great for skilled kayakers ready to test their dexterity while the lower is perfect for a leisurely paddle or family swim in the summer months. 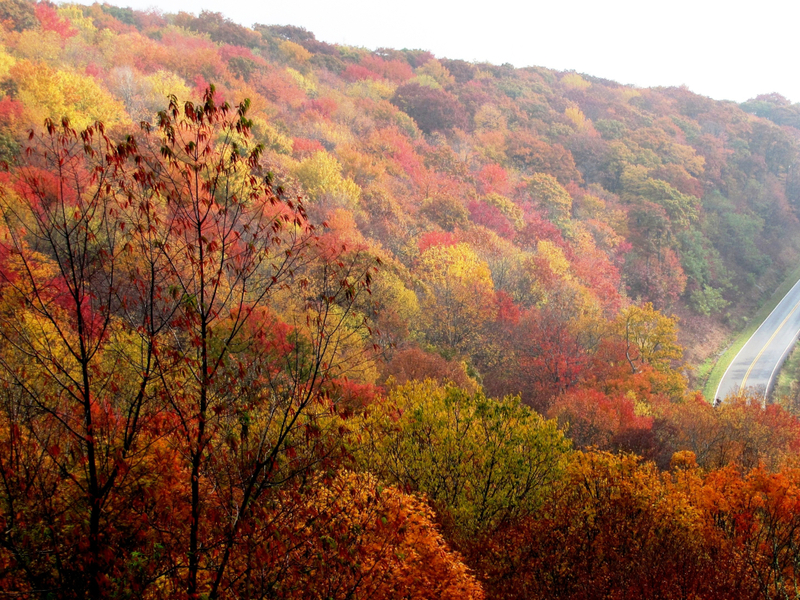 Coasting along the Cherohala Skyway is a popular pastime anytime of year, but the heaviest traffic tends to come in fall, when the leaves are turning in southern appalachia. You’ll pass through the Cherokee and Natahala National Forests on your way from Tellico Plains, Tenn., to Robinsonville, N.C. There’s a multitude of ways to experience this area. You can hit the highlights on an “ out-and-back ” trip, backpack and camp in the various nearby national wilderness areas, or drive all the way through and rent a cabin in one of the cozy little towns tucked away in the mountains’ pocket. 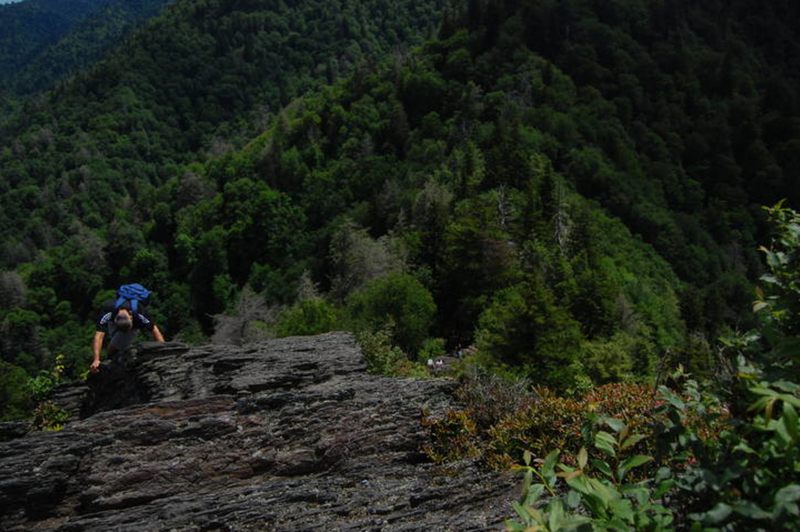 The steep, 2-mile trail to the exposed overlook in the beautiful Smoky Mountains is one of the park's most popular hikes. And for good reason. The approach is strewn with hemlock, rhododendron, and buckeye and the peak is an impressive and sometimes dangerous experience, depending on the weather conditions and the daringness of hikers. Cades Cove is not only one of the most visited spots in the Smokies, it's also a gem of the National Park System. This verdant valley—often teeming with wildlife like bear, deer, and turkey—is home to an 11-mile stretch of road that motorists from around world come to enjoy. From early May until September on Wednesday and Saturday mornings until 10 a.m., however, they're not allowed—making it the perfect place for cyclists of any experience level to enjoy an unforgettable ride. This oft-overlooked climbing destination offers a smattering of sandstone bouldering, top-rope routes between 5.7 and 5.10, and beautiful views—all easily accessible. If you want a fun introduction to outdoor climbing where you don’t have to worry about dodging around other climbers, this is your spot. If you’re up for a challenging hike with steep elevation changes and potentially waist-high water crossings, The 12-mile loop in the Joyce-Kilmer Slickrock Wilderness might be for you. 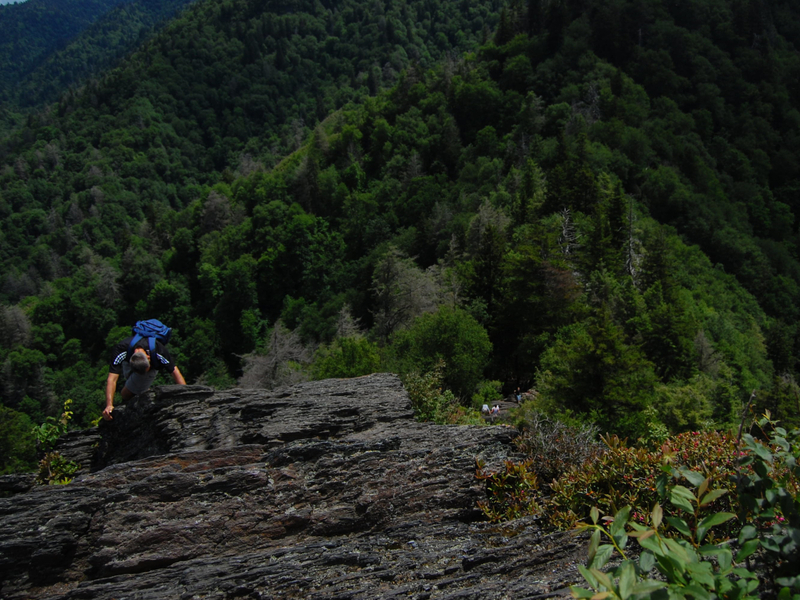 It’s a tough endeavor, but Wildcat Falls and the beautiful views from Big Stack Gap Branch and the Fodderstack section will make the whole trip worthwhile.